HOW DID "THANK GOD ITS MONDAY" BECOME SO INGRAINED IN YOUR ORGANIZATION? I gave the book to every person at the TGIM kickoff staff meeting. It was the executive team that met weekly, discussed the wow insights and figured out the key points that could impact the credit union. More importantly, it was that team putting them into practice versus procrastination. Plus, parts of the book really spoke to my personal beliefs and I made a point to bring those into my leadership style. Then the actions of the executive team spread to the management and frontline staff. Individuals began to follow the example set by others. The good of the book began to spread like crazy and everyone wanted to be a part of it. WHAT ARE YOU DOING BEYOND THE PRINCIPLES OF TGIM? The book talks about forming a ‘Hoopla Committee’ to keep the TGIM principles going strong. So our committee’s first take on this was creating the “Be Attitudes” – a set of reminders coaching employees how they should act or be towards teammates and members. 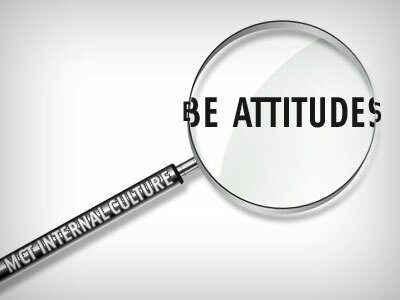 Now every Monday morning throughout the credit union we discuss the be attitude of the month in the staff huddle. It’s just five minutes where each group of managers and staff talk about how they are going to promote that specific attitude for the week, personally and professionally. HOW DO YOU KEEP MOMENTUM? The executive team simply provided the permission for the staff. Now it’s growing organically. I personally attend a lot of the department meetings and visit the branches at least once every couple of months. I hear how much people appreciate it. This is easy for me because I’m passionate about the people and this credit union. I can’t ask them to do things and not give them the tools, time and talent to do it. I know you want to know more… and lucky for you, there IS more! Next week..